The 2016 Honda Accord comes from an award-winning line of versatile vehicles with appeal to all types of drivers. From hauling the kids to soccer games to providing a comfortable ride on long trips, it’s up to any task you throw at it. In 2016, the Accord features a more stylish exterior than its older counterparts, more available trim options, and the best fuel efficiency available. While all of the official details on the 2016 Accord have not been officially released, news about its looks has hit the press. The new Accord gets sleeker lines with restyled bumpers, headlights, tail lights, grille, wheels, and trunk lip. It has been rumored that it will feature top-notch exterior touches like LED headlights too. The Accord will be available in a four-door sedan or sporty coupe, and it promises to be the best-looking Accord to date. Even the toughest driver will be able to find an Accord trim to suit their needs. From the gas-sipping hybrid to the powerful (and still quite efficient) V6, the new Accord offers a drivetrain for everyone. The base 2.4L four-cylinder engine is still a great choice for drivers with good power and excellent fuel economy. Those looking for power can opt for the upgraded six-cylinder engine which has been rumored to have direct injection and expected output of about 280 horsepower and roughly 260 lb-ft torque. Transmission options will likely be a choice of the six-speed manual transmission, nine-speed automatic transmission, or CVT. All of the 2016 Honda Accord trims will offer the best fuel economy so far, besting the 2015’s estimated 27 mpg city/36 mpg highway. This class-leading efficiency beats the fuel economy of its closest competitor, the Toyota Camry, by a few miles. The gas hybrid and plug-in hybrid will offer even greener options for the environmentally concerned citizen. While many of the specs of the 2016 Honda Accord remain a secret, the details that have been released make this a very enticing option for the new car buyer. 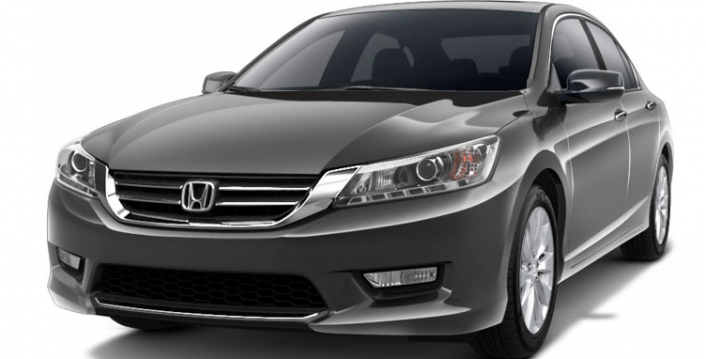 The 2016 Honda Accord looks like it will be an attractive addition to an impressive legacy.